22bet was created in 2007. The bookmaker offers interesting bonuses for sports and casino and very good competitive odds for various sports. 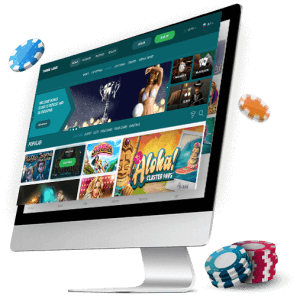 What we can say at the first glance of the company is to offer many sports betting good odds with useful Sport statistics Action and different payment methods for deposits and withdrawals. Let’s start with the Bonus offers, which is available at the 22Bet. Welsome bonus is up to 50 euros for new customers. This is the so-called welcom bonus for new registered user, which is 122 percent on your first deposit, with the maximum amount being 50 euro. You can also get information from 22 bet.com’s website about other promotions and also offer a second customer bonus. This bonus is mostly used for sports betting, but can also be used for casino games at the company’s website. You must bet at a odds of 1.40 or higher to be able to withdraw your winnings and withdraw the bonus. The requirement here is a bit more difficult than many other companies, because it is required to make the bonus reqirements for a week, which is really difficult to execute, but it is not impossible in this case. 22bet also offers a second deposit bonus. Here, the percentage is 22 percent and the amount up to 50 euro, with the minimum bet amount being one euro. You must complete the betting requirement above 1.4 for sports bets in order to be able to withdraw the bonus and also keep the offer terms. What can we see in 22bet sports section? We will look at the sports section in detail. You can bet on various types of sports including football and Premier League matches in England, a,,lso in Germany France, Spain, Portugal and other football leagues. You can also bet tennis matches from famous championships like Wimbledon. You have many betting options also on Horse Racing, Football, Ice Hockey, Basketball, and many other types of sports. 22bet offers racing and betting on ski disciplines, beach football and many more interesting sports including Esports betting captions for fans of electronic sports. What can we see for live matches? Live matches and multiple markets are offered, but the company does not offer live streaming live broadcasts where you can track your match your sporting event through the gradient on your screen. This is not available on 22 bet.com, but you can bet on soccer games,tennis, basketball, live volleyball and we can say that the odds are nice. Slot or casino games are available in 22bet. The company offers multiple slot games, board games that you can play. You also have the ability to play Superstar football, as well as many new types of games by the Evolution gaming software developer. Also in the casino section there are virtual bets, sports simulations such as soccer motor racing and others where you can also test your skills and bet. Variants of slot type of games and casino games including a live casino await you at the 22bet company. What are the limits on bets? The minimum amount is 0.20 Euro the maximum amount is 600,000 Euro per bet this rarely happens in another company with such a big bet on a single bet for different types of bets in 22bet company. Let’s also say something about the mobile version. 22bet has no mobile application The bookmaker has a mobile site, that opens quickly, easy to use, but it would be good to have a mobile application for Android and Ios operating systems. 22bet in the future can also make the company a mobile application, but for now there is only a mobile version of 22 bet.com. We can say that the company does not provide information, that it is registered by the UK gambling commission or Malta Gaming authority license, which is not mentioned on the site, so we can not be sure whether the company has a license or not and what license it holds, if has. Let’s also say something about customer support. The company 22bet.com offers only email customer support, unlike many other companies, that offer live phone support and live chat and other options. Here, 22bet offers only email support, where you can ask your questions and get a competent answer. Within 24 hours, you should get answers to your questions from the 22bet bookmaker.